Mark Montano: SHOE REDO CRAFT NIGHT IN LOS ANGELES! 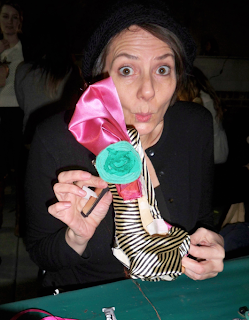 How I wish you could have all joined me and BC Shoes last night for our Craft Night at CAFAM. We seriously had it going on! 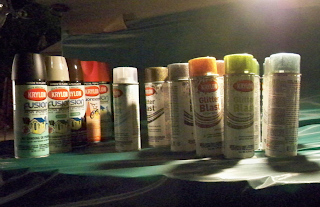 A spray paint booth with Krylon Glitter Blast and various spray paints and TONS of supplies to choose from to make your shoes into anything your heart desired. 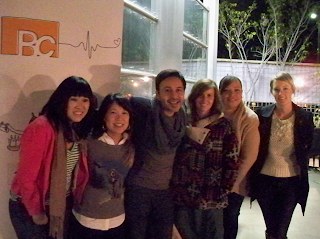 Here are a few photos from the night and a little inspiration. 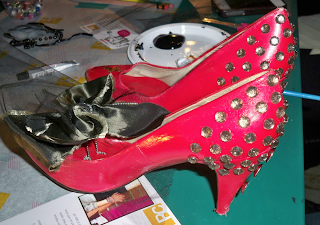 Just a sample of the shoe madness! 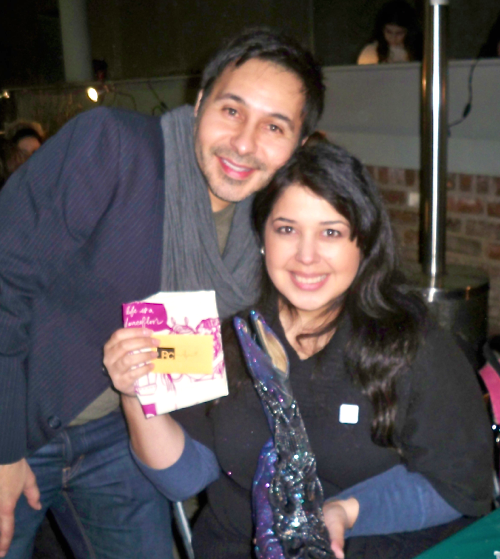 Mona, one of our winners last night. 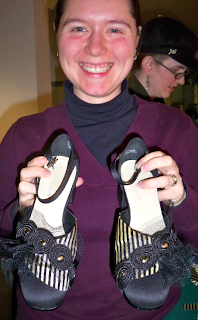 She won a pair of BC Shoes! 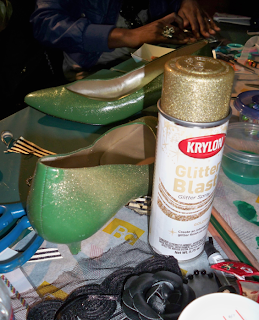 Adding some glitter to some lucky pumps. Just some of the beautiful styles BC Shoes makes. E-6000 sent us TONS of little tubes so each person could have their own. Our little KRYLON soldiers waiting to be called upon for duty. Seriously 1/2 a block of supplies to choose from! 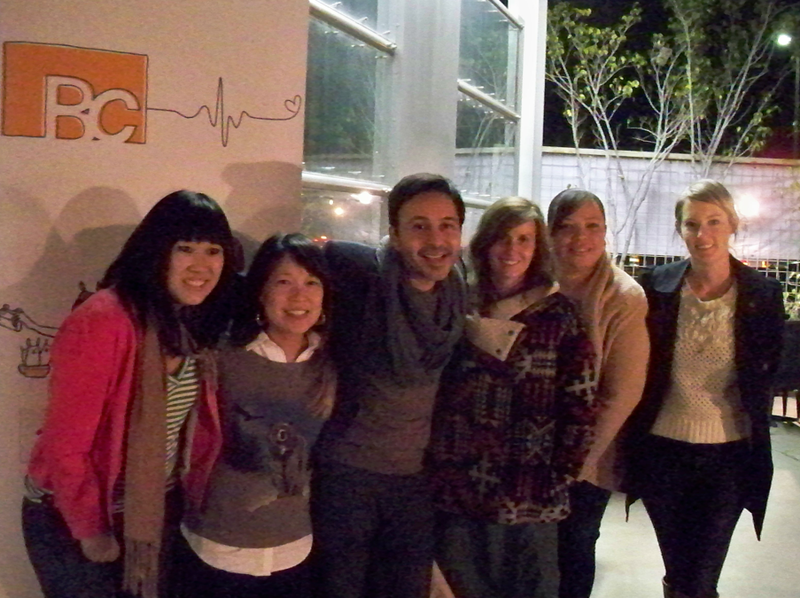 Me and the BC Shoes gang before the event setting up. 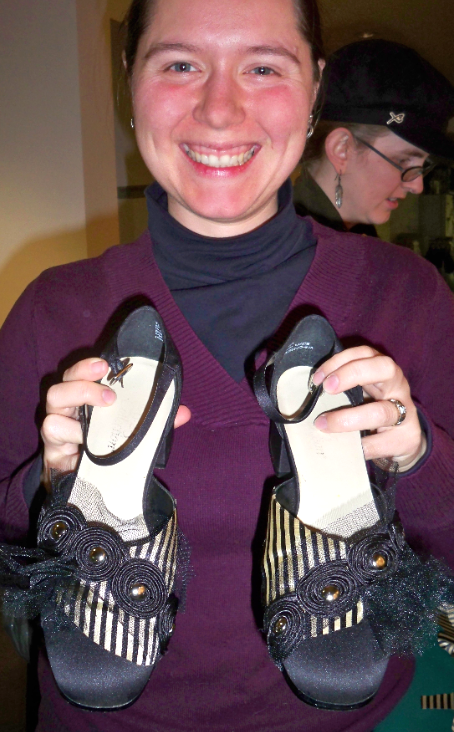 Look at those wedges...Glitter blasted and trimmed to the 9's. 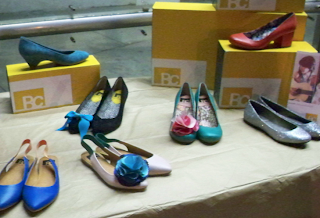 She also won a pair of BC Shoes! 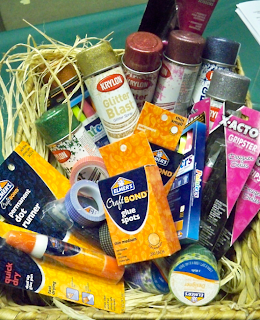 Elmer's sent tons of products to help the crafters and we gave a few away in our Grand Prize Basket last night! Go Elmer's! 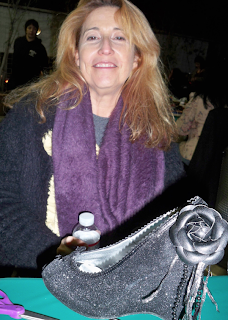 Glitter Blasted Cowboy Boots and a winner from the night! 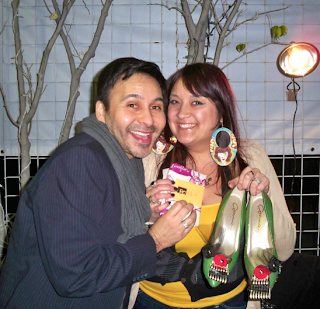 And finally, me and Erica who also won! 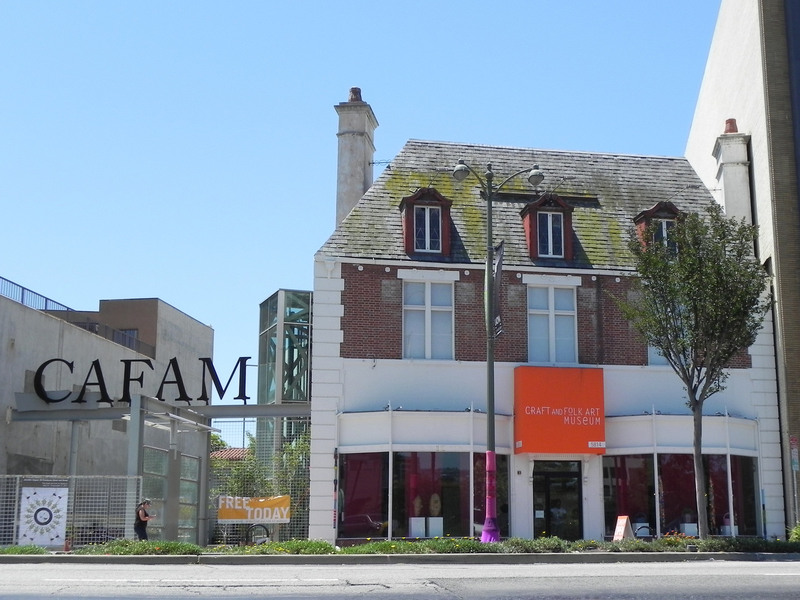 All in all it was a truly successful Craft Night at CAFAM. Join me on the 1st Thursday in May for our next one! Ok I totally love BC shoes even more now! Who knew they were so flipping fun!? 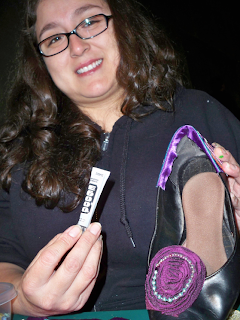 =) The krylon-riffic shoe makeovers rock! Ummm I need to move closer to y'all b/c I'm feeling crafty! WOW!!! Crafting and glitter and SHOES...it doesn't get better than this. Shoelicious! So jealous! I live in VA. 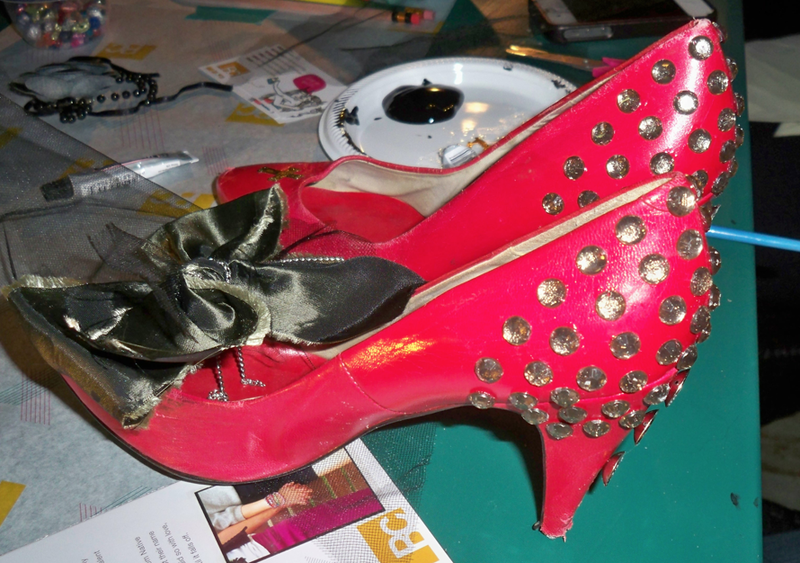 Awesome crafty shoes. Looks like tons of fun! Love all the creations! I wish I lived closer--I would have loved to "redo" shoes with you!